My mission as a style strategy coach is simple: to help you craft a distinctive, authentic and powerful look that elevates your confidence, your personal power and your joy! Simply put, the clothes you wear and the way you style yourself tells a story before you ever say a word. Whether you just landed a new job, or were recently promoted; are newly married or are searching for that special someone; just sent the kids off to college or reached a milestone birthday; I want to learn where you are in your life and help you reframe and newly envision your personal style strategy. 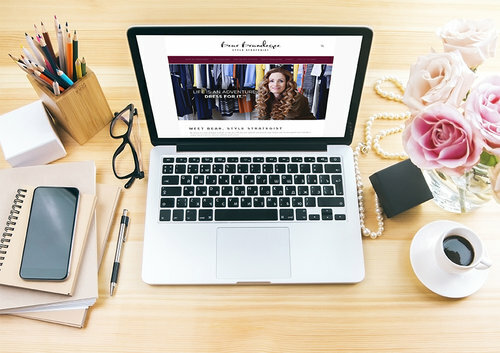 With 20 years of experience in branding and marketing, a degree in fashion merchandising from the Fashion Institute of Design & Merchandising Los Angeles and extensive training as an image consultant - I’m ready to help you find your signature style. Together we’ll map your life goals with the image that projects who you are and the story you want the world to hear. Find What’s Just Right For You!